Apple's developer showcase WWDC 2018 is coming up fast (it kicks off June 4), and should bring news of new developments for Siri, augmented reality and Apple's burgeoning arsenal of OSes (iOS 12, watchOS 5, tvOS 12 are among our favourite typographical challenges). Hardware is usually not a big feature of WWDC but one analyst believes Beats by Dre will be unveiling a new Beats Pill speaker with Siri integration, bringing Apple's AI to a new musical market that doesn't want to spend £319 on a HomePod. Apple's high-street- and gym-dominating Beats by Dre subsidiary has just unveiled a red-accented Decade Collection of its classic headphones that many attendees will no doubt be rocking at WWDC. There's no word so far from the brand on a new version, red or otherwise, of its Pill speaker line, which has not had an update for almost 2 years. That hasn't stopped tipster Gene Munster from proclaiming that WWDC will see the launch of a new Beats speaker with Siri integration. Gene, when working at Piper Jaffray, once spent years saying that Apple was just about to launch a television, but he has also been known to make correct predictions about the brand. With HomePod pitched at the higher end of the market, using Wi-Fi for connectivity and taking on Sonos, it would make sense for Beats to release a Siri-containing, music-orientated Bluetooth speaker to go up against the likes of UE's Megablast, which has Amazon Alexa integration, and Sony's LS-50, which incorporates Google Home. The excellent Beats Studio3 Wireless had Siri integration via a push button, so a Siri Pill would also be a logical follow-up to that. 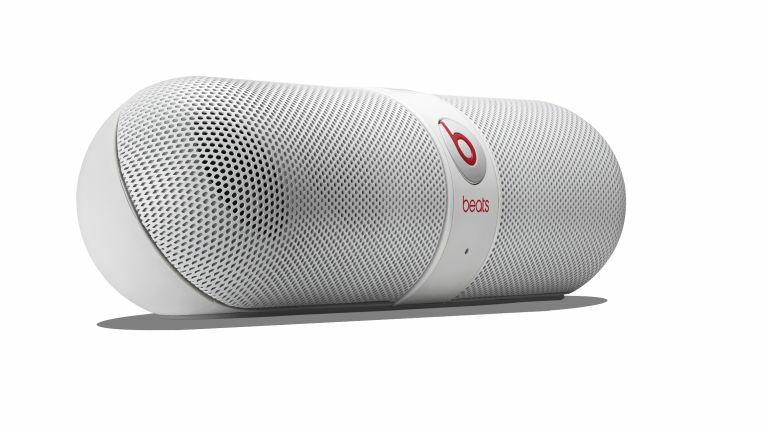 It must be said that Beats has always been primarily a headphones brand, so a Siri Pill is not yet an inevitability by any means. In other Beats by Dre news, the brand definitely has some new headphones. Released to celebrate 10 years of the brand that Dr Dre and Jimmy Iovine built, the new Decade Collection will include scarlet-hued editions of its Beats Studio3 Wireless over-ear headphones, Beats Solo3 Wireless on-ears, BeatsX in-ears, Powerbeats3 Wireless gym headphones urBeats3 wired earphones. Red has long been a key colour for Beats by Dre. The Studio3 Wireless also "features a special debossed earcup and comes with a custom linen case."